He’s been called, “Chivalrous to a fault.” Why, oh why, are all the good ones dying? News from Paris this week is the passing of Givenchy. Anyone who’s spied Breakfast at Tiffany’s dabbed a tear with a delicate hankie and went to look for Cat. In the rain. Yep, that Givenchy. 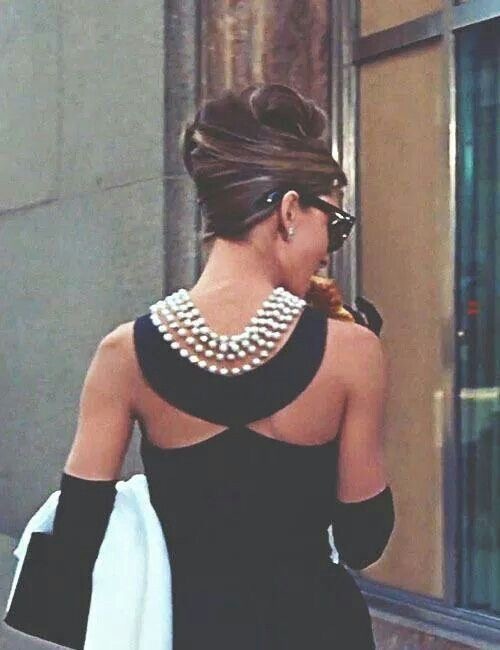 The one who created that dress: The little black dress Holly Golightly wears breakfasting at the windows of the New York jeweler hoping for life to take her from the everyday. If only. Although our dear Hubert did not invent the LBD, that homage is paid to our dear Coco, he did absolutely define it in the movie. He also created the “decollete Sabrina”–another little black number with a square neck and small shoulder bows. Although, and here comes the fashion gossip, there is some debate. 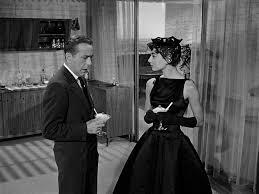 Edith Head, costume designer goddess, was the actual costume designer on the original movie, Sabrina. Don’t bother with the remake. There is only one. Humphrey Bogart and Audrey Hepburn. Anyway, seems Audrey went to Givenchy for some costume help and he came up with the little “decollete (accent on the final e) Sabrina,” used in the movie. Probably with some help from the dear Ms. Head. In the end Edith Head is nominated, and wins, the Academy Award for costuming for Sabrina and never says a word about Givenchy or the little dress-which took the world by storm and continues to do so today. Don’t believe it? Look in your closet for a square neck. Then say, thank you Monsieur Givenchy. Our little Audrey was so perturbed by Ms. Head’s omission that from then on she said, “Every time I’m in a film, Givenchy dresses me.” Kind of takes care of Givenchy’s marketing, non? Audrey was not his only muse. He also dressed Jackie Kennedy and our dear Princess Grace. Liking him more and more now, aren’t you? He also dressed Wallis Simpson. But that woman allowed a man to give up a throne for her. Silly girl could have had a lifetime affair with a king and all the dresses. Instead she went for all the marbles and ended up a pariah. Think, ladies, think. Fun fact? Givenchy had such a tight budget when he opened his house in 1952 that he actually created designs out of raw white cotton, unheard of by any Paris couturier. He is credited with “separates.” Yep, tops and bottoms that can be mixed and matched. Before that, the norm was head-to-toe couture. Those Parisians. Thank goodness they’ve learned the art of high-low and turtlenecks with ball skirts. He sold to LVHM in 1988–you know of LV fame–the guys who own everything fashion. Dior, Celine, Marc Jacobs, Pucci–it’s almost tiresome. The great Hubert himself retired in ’95 and was succeeded by Galliano and McQueen. Yes, before they were they, they were Givenchy. Today, hurrah, Givenchy is under the art direction of a woman, the first, Claire Waight Keller. Oh, and the Tiffany’s dress? Sold at auction in London for $923,187. Worth every penny. How many on this side of the pond are swathed in Givenchy? Not many, my dears. I have a scarf from a trip to Paris in the 80’s. Newly married, eyes wide, eating a baguette on the street. Sound familiar?